When we produced our first feature film, our goal was to get an awesome movie distribution deal and fund our future productions. In our case, the movie was rough, but it was good enough to get a few offers. But upon reading the contract fine-print, none of the offers seemed like good deals. At the same time, Amazon was gaining prominence as a popular movie marketplace. The opportunity at Amazon, combined with lots of traffic coming to our movie website motivated us to forgo traditional deals in favor of self-distribution. And the rest, as they say, is history. In the years since, many end consumers have cut their traditional cable cords in favor of popular on-demand channels. Soon there will be no delineation between your TV and the internet. And these trends have forever altered traditional movie distribution. In the old days, it was impossible to enter the marketplace without a distributor. You needed to work with someone who could navigate the complicated landscape of physical product and splinter your movie rights across the globe. But this model of traditional movie distribution is eroding. Behemoths like iTunes, Amazon Prime, Netflix and other digital platforms are going global. And while many legacy distributors (and some foreign governments) are trying to preserve territories, the internet doesn’t have boundaries. Add self distribution tactics to the paradigm shift, and you start to see why filmmakers may value the middle-man less. To counter the traditional “middle-man” perception, distributors now focus on movie promotion as a selling point. The problem is, marketing is expensive. And even the most ethical and enthusiastic distribution companies lack the resources to commit to a campaign past the initial release. After producing my own films and actually working in distribution, I can tell you that (ironically) the best distribution deals are reserved for filmmakers who don’t actually need a deal. These entrepreneurial filmmakers go into the process with a promotional, sales and film distribution plan. 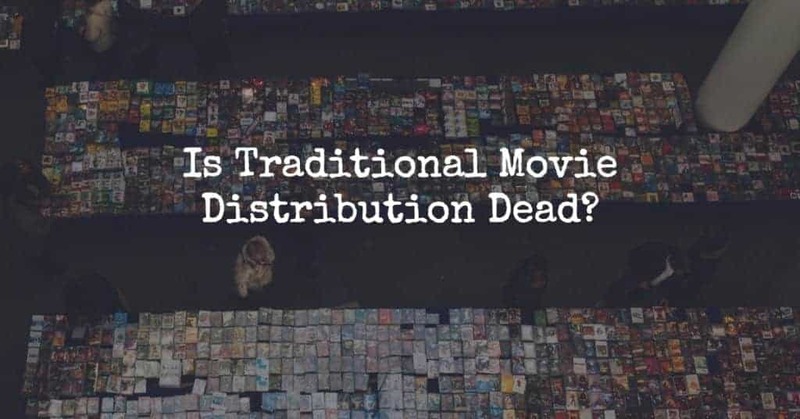 And all of this begs the question: Is traditional movie distribution dead?